Tatsunoko vs Capcom America Bound! In a completely shocking turn of events, Capcom has decided to bring over this mishmash cross over fighting game outside of Japan. 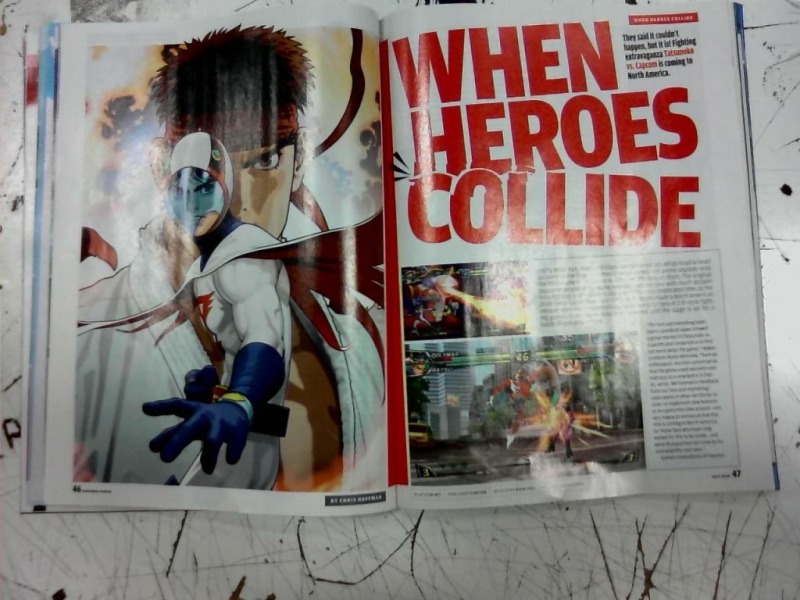 Found here on GoNintendo, it appears that the July issue of Nintendo Power will be featuring a story on the english edition of this spiritual sequel to Capcom vs Marvel 2 that was released on the Wii just last year in Japan. To those wondering why this is important to the fandom, two of the playable characters in this game are Megaman Volnutt from Mega Man Legends and Roll from Classic Mega Man! That makes me wonder if the voices behind the english Legends games may reprise their roles for this, if they bother to dub the game. Needless to say we'll be keeping close tabs on this as things develop.